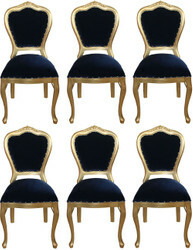 Turn your dining room into a veritable palace with handcrafted Baroque chairs from Casa Padrino. 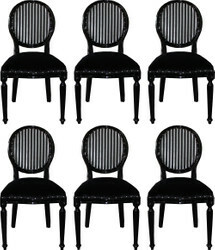 Every baroque chair is a real one of a kind, because every piece of furniture is made entirely by hand. 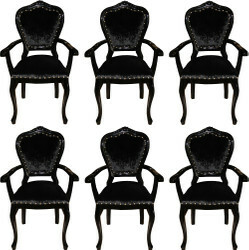 Casa Padrino Baroque chairs and other pieces of furniture are in the colors: Black, White, Gold, Silver, Gray, Striped, Checkered, Blue, Green, Orange, Beige, Red, Bordeaux, Khaki, Cream, Brown, Leopard, Zebra, Tiger, Comic Design and many other color combinations available. 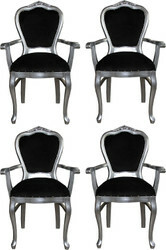 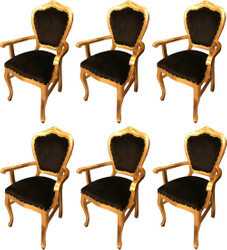 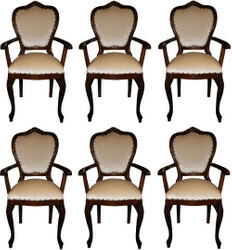 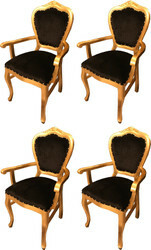 We also gladly produce custom-made baroque chairs for our customers all over the world. 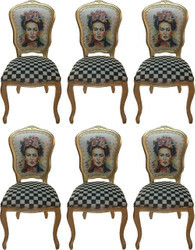 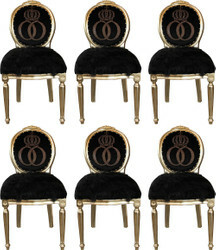 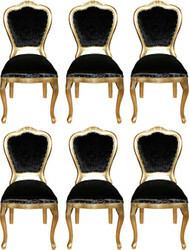 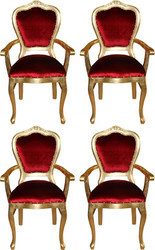 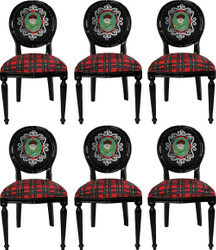 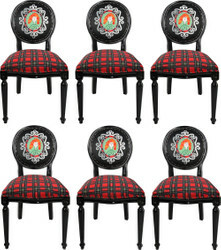 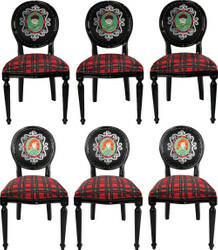 So you can design your baroque chair or your baroque chair set according to colors and fabrics and have a unique design element in your home or business. 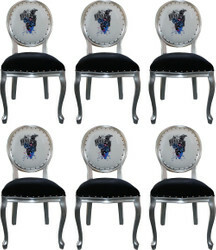 Casa Padrino is a manufacturer and distributor of Baroque chairs, as well as a variety of other Baroque furniture. 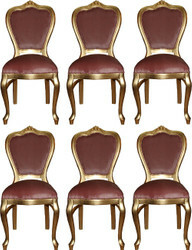 The lovingly handcrafted baroque chairs are often covered with gold leaf or silver leaf to create an authentic antique style look. 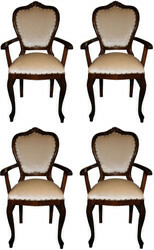 With this refinement technique, the noble pieces of furniture become authentic looking antique style replicas and thus look valuable and sumptuous. 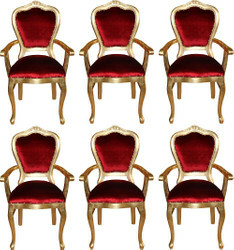 Casa Padrino is a supplier of numerous hotels, restaurants, boutiques, trade fair organizers, as well as a large number of private and business customers, who are supplied with baroque chairs and other Baroque pieces of furniture. 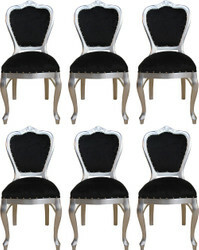 For our customers in the 4 and 5 star hotel industry we only use furniture from the Casa Padrino luxury baroque furniture collection. 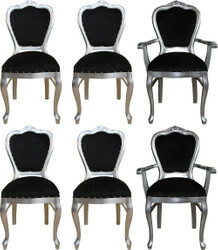 These luxury baroque chairs are characterized by the highest quality materials and finest workmanship and are extremely durable. 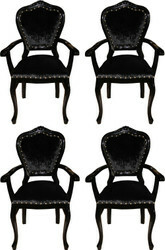 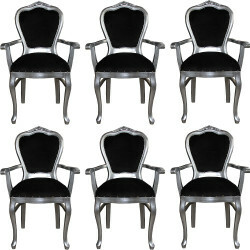 Casa Padrino baroque chairs can be shipped worldwide from Lager Essen in Germany. 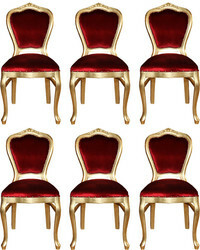 In addition to customers in Europe, Casa Padrino also supplies customers in the USA, Russia and Asia with high-quality luxury Baroque chairs and other baroque furniture.